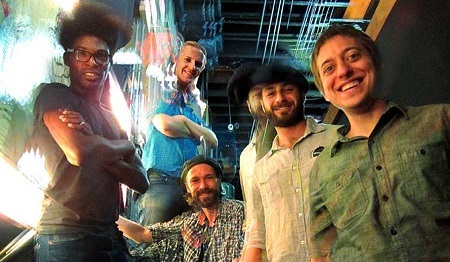 The Nightfall Concert Series, produced by Chattanooga Presents, continues its 31st season of free Friday night concerts this Friday at Miller Plaza with a headline performance by The Fritz bringing their soul-driven dance rock to the stage at 8 p.m. The local opener will be Craig Lyons beginning at 7 p.m. Steadily building a reputation as a live act not to be missed, Asheville music ambassadors, The Fritz, played a strong year of shows, acquainting thousands of new fans with their love of funky music. As much as they take their funk seriously, the band takes its rock-honed songwriting just as seriously. While the music may range from hard driving soul to progressive rock, individually, the members of The Fritz are masters of improvisation, carefully weaving their personality into each performance. Originally formed in the rehearsal spaces of University of North Florida’s School of Music, the quintet draws on influences from Prince, Talking Heads and Jimi Hendrix. Whether live or in the studio, the band creates an energetic dance party every time. Their 2013 release, “Bootstrap,” received positive acclaim around the region, and their new 2017 release, “Natural Mind” produced by Dave Brandwein (Turkuaz, The London Souls, Zongo Junction) captures a sound that has been years in the making – with powerful vocals, climactic solos and tight grooves. The band is now taking the album and their unforgettable live performances around the country with the Natural Mind tour. Craig is a singer/songwriter who recently moved to Chattanooga from Los Angeles, where he spent a decade performing on Sunset Strip and releasing four albums. He's reached worldwide audiences through a partnership with Universal Music, placing his music in countless films, shows and commercials. Craig recently ditched his acoustic guitar in favor of a fuller sound, and joined forces with local industry veterans (Jonathan Susman - drums, Alex Condra - bass, David Ingles - keys). Check out the band's first performance together at Nightfall as they settle in to a unique and fun melodic rock set. Food trucks and non-alcoholic drink concessions are available at Nightfall. No outside food or beverages are allowed to be brought in to Nightfall, therefore coolers are not allowed. Nightfall, recently named as “Downtown Chattanooga’s Favorite Event” in a survey by River City Company, has been the community’s signature summertime program for the past 30 years. Known for its family-friendly environment as well as being recognized nationally for the quality of its musical programming, Nightfall has an average attendance of between 2,500-3,000 each night. Each Friday through Aug. 31, Nightfall will showcase a broad spectrum of musical genres featuring a local band at 7 p.m., followed by a headline show by a national artist at 8 p.m., many of whom are performing for the first time in our city. Nightfall is made possible this year thanks to sponsorships from Shock Top, Fletcher Bright Realty, Kelly Subaru, Coca-Cola Bottling Company, Warehouse Row, Southern Honda Powersports, Purposity, Frothy Monkey, Pure Southern and Chattanooga Whiskey, Waitre and Gold’s Gym along with media support from NPR/Music 88.1 and ChattanoogaNow. For more information on this free community concert series, call 423-265-0771 or visit NightfallChattanooga.com for a complete, interactive website that includes music samples by each headliner, as well as other important information for first-time attendees.